A Philadelphia Police officer is in critical condition after sustaining gunshot wounds to the face Monday morning during an attempt to serve a warrant with a SWAT team in Germantown. The SWAT officer, identified as 49-year-old Jason Potts, sustained injuries to the face, a broken jaw, and had heavy bleeding, Philadelphia Police Commissioner Richard Ross confirmed to reporters around 8 a.m. The incident happened on the 4800 block of Knox Street. Potts, a 20-year veteran, was rushed to Temple University hospital and is expected to recover. Thank you to everyone for their well-wishes and kind words about our officer who was shot this morning. While he remains in critical condition, he did NOT sustain any life-threatening injuries. Authorities said Potts was at the front door of a Germantown residence when bullets were fired through a second glass door, hitting him in the face. 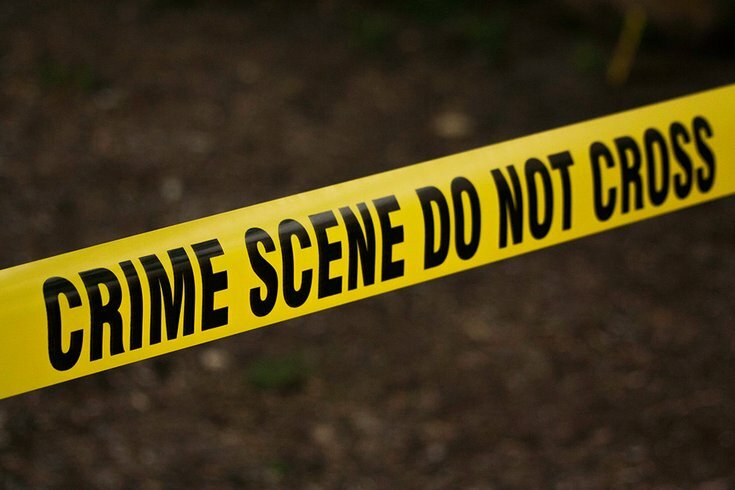 A possible suspect and a 60-year-old woman also were injured and the suspect remains in critical condition at Einstein Medical Center, the Inquirer reported. Mayor Jim Kenney arrived at Temple hospital and joined Ross to confirm the officer's condition. Ross said the suspected shooter is not the man to whom police had been attempting to serve warrant. In the month of July, 119 people were victims of preventable gun violence in Philadelphia, according to Open Data Philly. But shootings involving officers have been more rare — only 1.39% of shootings in Philly have involved a police officer. Data on the numbers of gun violence victims this month and in all of 2018 are available here. • Anonymously request a gun lock — a device used to secure a gun from firing accidentally or being used by someone who is not the owner — by calling the Philadelphia Sheriff's Department hotline, at (215) 686-3572. • Here you can find the closest police station in your district, in case of emergency. • If you are a student interested in advocacy surrounding gun violence, here's a resource from CeaseFire PA.
• If you are interested in calling a legislator to talk about gun policy, CeaseFire PA made a list of "Dos and Don'ts."